What began as an idea in 1999 shared by a young couple with one potential customer is now a thriving business serving fortune 500 companies. 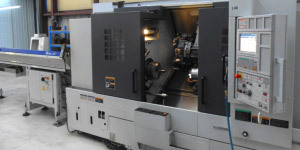 B&B Machine currently works with companies of all sizes to develop special tooling, fixtures, equipment, and processes. We understand that to remain strong in today's competitive environment we must not only meet the customers needs, but continually exceed the customer's expectations. We will constantly strive to be innovative, provide superior quality, on-time delivery, and continual support. Bob Barbee (hands-on owner/manager) grew up working in his father's machine shop. After completing school, he was employed by Wright Industries in Nashville, TN. 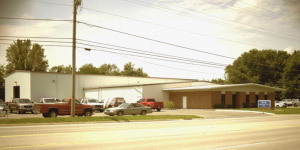 He and his wife Bobbie started B&B Machine company in April of 1999. They soon learned that success is measured not necessary by how much money is acquired or the size of your backlog, but how the customer feels about the relationship. While customer satisfaction is paramount, it is not the only goal. Exceeding the customer's expectations will constantly raise the bar for B&B and the competition. In all fairness, this creates a win/win situation with the customer and serves to solidify relationships into partnerships. Bob has learned that satisfied customers will drive a business to growth and prosperity by demand for continued quality and service. This attitude and commitment to the customer has kept B&B alive and well through tough economic times and has doubled the companies capacity while maintaining the high quality parts and support our customers have grown to expect. B&B machine has grown into a full service one-stop-shop. The team at B&B is able to handle projects ranging from the very small to the large without sacrificing quality. Whether you are beginning with a napkin sketch or you have a completely documented project, the team at B&B will partner with you to accomplish the goal. The entire staff, from the owners to the newest employee, is dedicated to customer satisfaction and delivering the very highest quality possible. This attitude is not just desired, it is a requirement for each employee at B&B Machine. 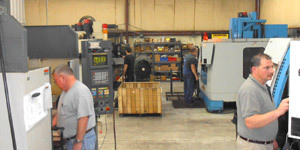 B&B's manufacturing and fabrication staff are accomplished programmers, machinists, welders, builders, and operators and their contributions, innovations and input are paramount to the overall success of all projects we undertake.